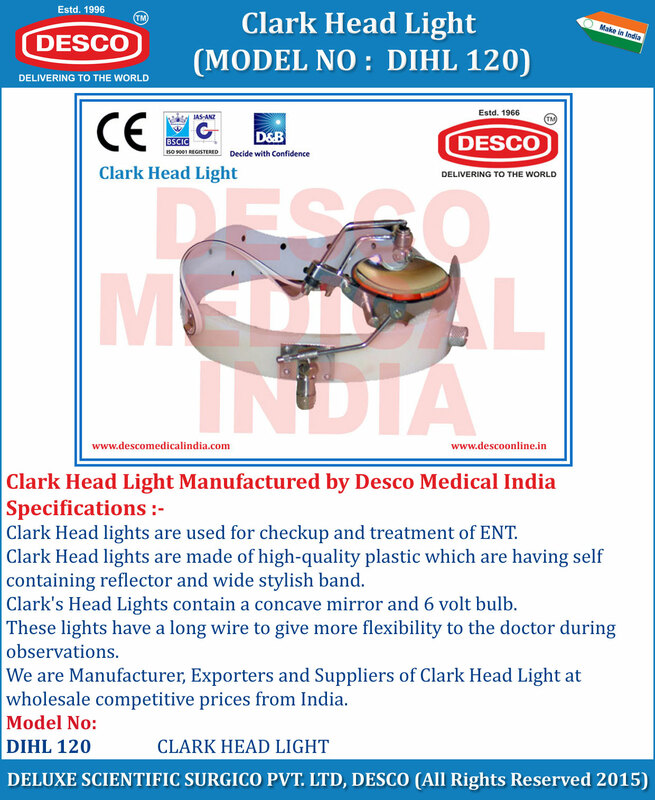 Clark Head lights are used for checkup and treatment of ENT. Clark Head lights are made of high-quality plastic which are having self containing reflector and wide stylish band. Clark's Head Lights contain a concave mirror and 6 volt bulb. These lights have a long wire to give more flexibility to the doctor during observations. We are Manufacturer, Exporters and Suppliers of Clark Head Light at wholesale competitive prices from India.